So if you are behind on the show (catch up! ), or if you haven’t been around our Facebook and Twitter feeds, you may have missed that our own Dan Z was in Orlando, Florida for the week so what else were we to do….but have a fan meet up!!!!! And where else could it have been, but Disney!!!!! So, at 7:30 PM on Black Friday, while most people were recovering from a long day of shopping, Dan, myself and six of our friends braved the Magic Kingdom crowds and all meet up that the Starbucks on Main Street USA. It was a great time getting to take friendships to new levels. This was the first time I met Dan Z face to face and that was awesome. We communicate through social media all the time but to finally meet the man, the myth, the legend face to face was incredible! Plus I was able to meet fellow CWK blogger Sandra Choute, who was down visiting family in Orlando. On top of all this, I was able to renew friendships from Star Wars Weekends past. Being able to visit with David Modders, Gian Petri, John Fowler, and of course my best friend Robbie and his son Jacob, really made this get-together great. We had a great discussion about Disney collectibles, a brief discussion about the upcoming Launch Bay at Hollywood Studios — Then a great roundtable as everyone was able to answer our famous 5 questions. The most popular answer to the questions was by John Fowler, who when asked what his favorite movie was answered Caravan of Courage. Talk about bring back some memories. If you haven’t seen this Ewok Adventure, find it and check it out. The big news from the meet up was a change in hosts for our Rebels Reactions show. Of course you know Rebels Reactions is where CWK analyzes Star Wars Rebels with a critical lens. As such, Dan and Cory asked me to take over Rebels Reactions for them, and I am humbled and excited to do so. I could never fill their shoes, nor would I try, but I promise both of them, and all of you, that I will do the best I can. I know everyone is wanting to see pictures, and I promise they are coming. As of right now, the Periscope video is still available here, or just search for Coffee With Kenobi to watch. After the meet up ended, Dan and I got to visit with fellow podcasters Zach and Rachel from Good Morning, Empire. I met them for the first time during Star Wars Weekends last year and it was great seeing them again. I want to thank everyone who showed up and had fun with us and everyone who tuned in via Periscope as well. It was such a great time and each of you made it special. This is something we may have to do again in the future. Maybe next time though we can get Cory down, too! 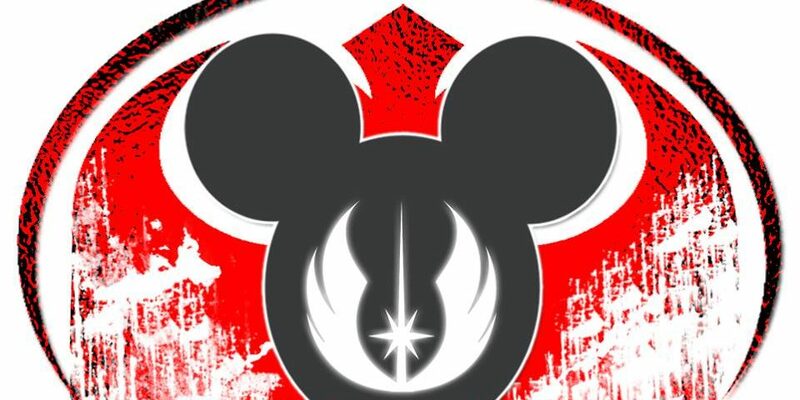 If you have any questions about the meet up, Disney or anything else, don’t hesitate to email me at aharris@coffeewithkenobi.com or hit me up on Twitter at @taharris121079. Until next time, may the Force be with you. This is the podcast you are looking for! Thank you for sharing this wonderful story with us!